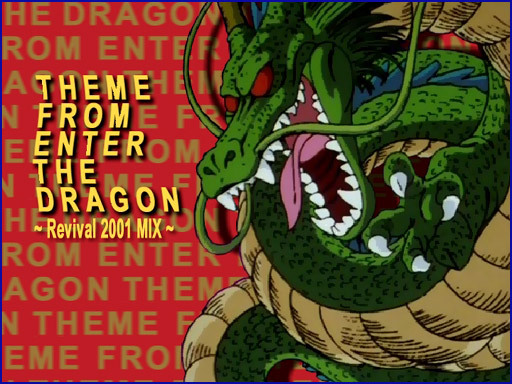 I had mentioned over in this thread that I wanted to encode a new version of an older video, "Enter the Dragon". It was an example of a video whose concept did require extensive special effects, as opposed to some the other ideas I was noting in the thread which did not require it. So anyway, we made this video back in 2004. It was a part of the final "DDR Project", a series of multi-editor AMV projects which took the nonstop megamix soundtracks from the Dance Dance Revolution series and made hour+ strings of videos. This is why it starts coming in from a Naruto video (our buddy mckeed who also did a track in the "Doomrider" DBZ AMV project), and ends in a green-screen to transition into the next track. But yeah. 2004. Our first real dive into After Effects. Also, hey... original DB. No DBZ. Nice. I don't even like DDR but I love the videos. You also did videos for the other DDR projects; one you did was a Rurouni Kenshin video, if I remember.